Delta County offers the best of western Colorado with its soaring mountains and mesas, deep canyons, and broad valleys, Gold Medal fishing waters, rich agricultural heritage, and varied outdoor opportunities, including hiking, biking, and climbing. The county’s six towns boast a friendly vibe and offer plenty of fine restaurants and brewpubs, affordable lodging, and a lively art scene. Check out these seven reasons that make Delta County the perfect place for an uncrowded Colorado getaway. Raw, untamed nature surrounds Delta County, offering some of Colorado’s iconic natural wonders. The jagged West Elk Mountains, protected in a wilderness area, punctuate the county’s eastern horizon, while Grand Mesa, called the biggest flat-topped mountain in the world, rises above shale badlands to the north. Silence and scenic views fill the cliff-lined chasm at the Black Canyon of the Gunnison National Park and adjoining Gunnison Gorge National Conservation Area. Escalante Canyon, a twisting canyon walled by salmon-colored sandstone cliffs, runs northwest from the crest of the Uncompahgre Plateau to the Gunnison River on the west side of the county. The Gunnison River is a popular spot for whitewater rafting and kayaking. Diverse outdoor adventures in Delta County await travelers wanting to escape the ordinary world. Mountain bikers love the county’s single- and dual-track trails that thread through canyons and over mesas. The technical 22-mile Sidewinder Trail and the Escalante Rim Loop are popular rides. Hikers find plenty of trails that lead to scenic overlooks and airy mountaintops, including the 10-mile-long Crag Crest National Recreation Trail atop Grand Mesa, the spectacular Ute Trail in Gunnison Gorge Wilderness Area, and the Mount Lamborn Trail which climbs the county’s highest peak. Rock climbers find vertical thrills on big walls at the Black Canyon and in Escalante Canyon, one of western Colorado’s best crack climbing areas. Delta County is renowned for its whitewater runs on the Gunnison River. 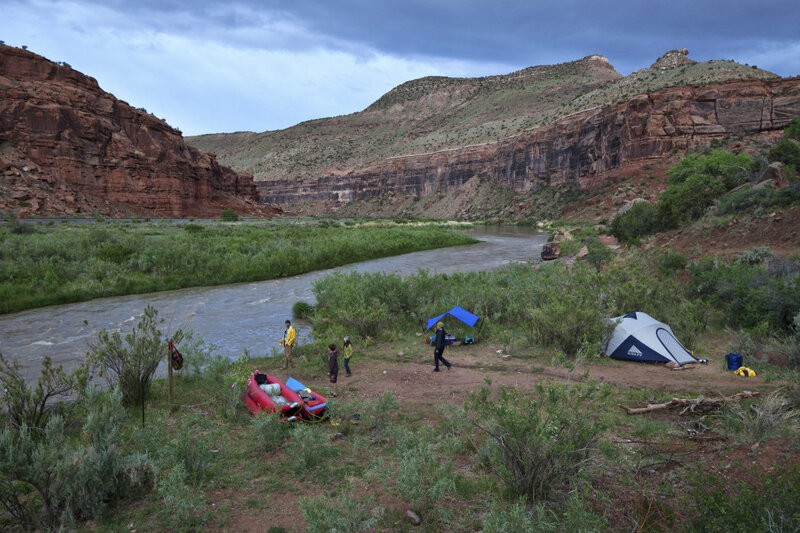 Hard-core rafters and kayakers bounce through wet rapids in Gunnison Gorge, while novice boaters get on the river in Delta and float down to the mouth of Escalante Canyon on placid water. Delta County’s six towns—Delta, Cedaredge, Orchard City, Paonia, Hotchkiss, and Crawford—give a look at real old-time Colorado. They’re places to slow down and savor the good life with unhurried conversations, free parking, quirky festivals, star-filled nights, historical sites, antique stores, and art galleries. Delta, the county seat, has a classic downtown, plenty of parks, and murals everywhere. Cedaredge, gateway to Grand Mesa, hosts the annual AppleFest and Pioneer Town and Museum, a recreated historic village. Orchard City is a residential area of farms, orchards, ranches, and Fruitgrower’s Reservoir, the county’s birding hot spot and a stopover for migrating sandhill cranes. Paonia, nestled below the West Elks in the North Fork Valley, is a friendly town with artists, musicians, wineries, fine restaurants, and spectacular scenery. Hotchkiss and Crawford, lying south of Paonia, are old towns with deep ranching and agricultural roots. They’re perfect places to explore on foot, popping into stores and studios, hiking mountain trails, or fishing at nearby Crawford State Park. Delta County is one of Colorado’s most productive areas for agriculture. Delta County is one of Colorado’s richest agricultural heritage areas, with more than 1,200 farms, ranches, orchards, and wineries, most family-owned and operated, scattered across valleys and mesas. The county’s farms are famed for their high-quality foods, fruits, wines, and meats, including cherries, apples, peaches, grapes, and the legendary Olathe sweet corn. Agritourism attracts visitors to the county’s 12 wineries, two distilleries, farms and orchards open for tours, craft breweries, farmers markets, farm and ranch stays, you-pick fruits and veggies, and agricultural workshops. Plenty of food-centered events and festivals celebrate the county’s breadbasket, including Cherry Days in Paonia, Deltarado Days in Delta, Olathe Sweet Corn Festival, the Delta County Fair, and AppleFest in Cedaredge. Delta County is one of Colorado’s best road biking venues with its stunning variety of quiet rural roads passing farms, ranches, and wineries below the West Elk Mountains, flat-topped Grand Mesa, and the Uncompahgre Plateau. Start in downtown Delta and follow Colorado Highway 348 for 17 miles to Olathe, threading across fields and pastures and passing the old Pea Green Store. A couple great rides begin in Paonia. The 32-mile Needle Rock Loop runs south from Paonia to Crawford and landmark Needle Rock, while the 49-mile Black Canyon North Rim ride goes to Crawford State Park, then pedals along back roads to the sheer canyon rim. 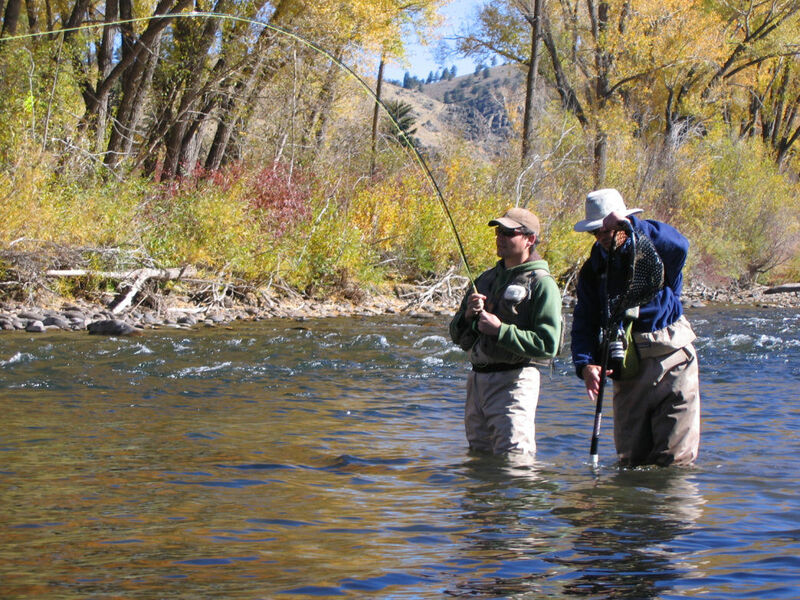 The Gunnison River is known as one of the state’s best trout fisheries. The remote 14-mile stretch of the Gunnison River in Gunnison Gorge National Conservation Area is one of Colorado’s best trout fisheries, with cold water, deep pools, fast riffles, abundant fish food, and as many as 10,000 trout over six inches long per river mile. Hardy fly fishermen catch brown and rainbow trout up to 20 inches long in the prolific gold medal waters after reaching the Gunnison on four trails that twist from the canyon rim down to the rocky river bank. Expect great fishing year round, but the best times are during the stonefly hatch in early June and in September when the brown trout enter the pre-spawn phase. After a day of hiking, biking, fishing, and sightseeing, Delta County offers plenty of fabulous restaurants and brewpubs for every appetite, taste, and budget. In Delta, the county’s largest town, hit up Daveto’s for Italian cuisine, the Needle Rock Brewing Company, Wild Flower Bistro or Fiesta Vallarta for Mexican. Lost Mesa Grill is a makes a good stop after hiking on Grand Mesa, also visit RJ’s patio or dine creekside at the Creekside Cafe. Paonia is chock full of fine restaurants, including The Living Farm Café with vegan options, Rio Bravo, Delicious Orchards Café, and Backcountry Bistro. 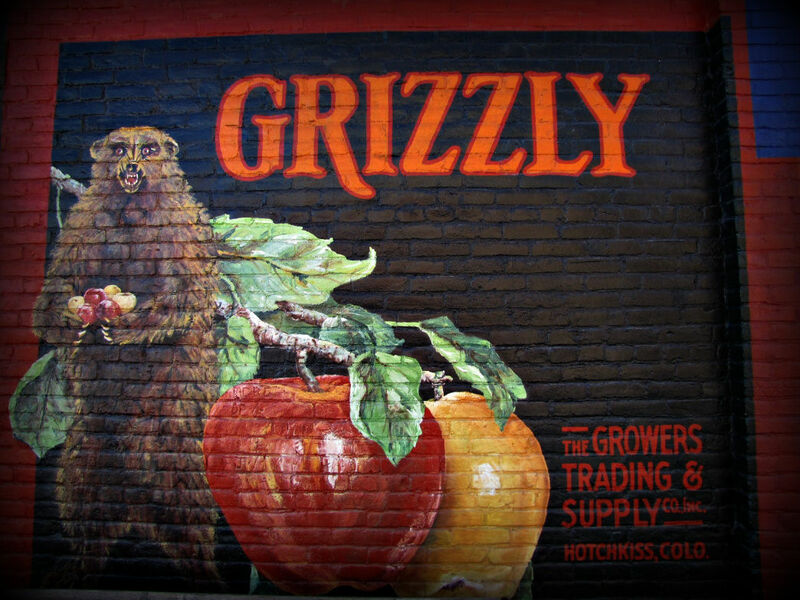 Recommended eateries in Hotchkiss are Zack’s Barbecue, Saddleback Cafe, the Taco Hut and PJ’s Neighborhood Pub. In Crawford, stop by Diamond Joe Café and Saloon and Old Mad Dog Café for an après-hike lunch.